Home Chef is a meal delivery service where you can choose the main meal cost $9.95 per serving, and each meal serves 2. Add-ons such as seasonal fruit basket in a smoothie kit are available for $4.95 per serving in each order serves 2. Shipping is free over orders of $45 and if you order less than that Shipping is $10. The food is ordered by each week they offer a menu and you decide which you would like. You can fill out a taste profile that will have your preferences such as calorie conscious, vegetarian, or low carbohydrates. For an extra charge you can get a breakfast and/or a premium meal along with the occasional vegan meals. Cut off for ordering your meals is 12 PM CST on Friday prior to your scheduled delivery day and if you do not make your selections they will choose for you based on your taste profile. The taste profile indicates if you have certain allergies because ingredients are packaged in the same facility and a package together in the box to be delivered to your door and you may not want anything delivery you are allergic to. My box contained Black Bean Chili with tortilla strips and sour cream is $9.95 per serving and serves 2 people; the colder weather has come and we, for one, are not ready. Are you in desperate need of a warm up as well? This black bean chili will do the trick. 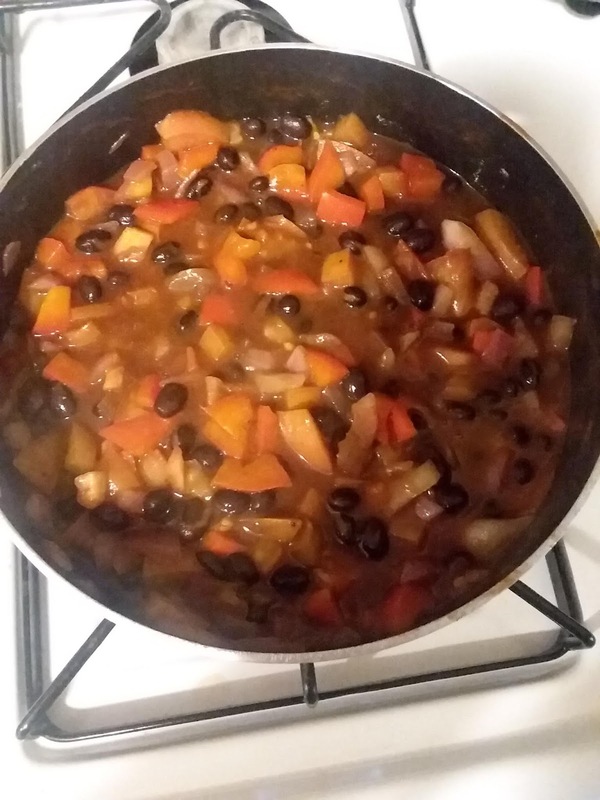 Black beans, tomatoes, onions, and bell peppers simmered together and garnished with the classic chili toppings. The warm flavors and even warmer temperature of this meal will melt away all the fall blahs and blues. Shrimp de Jonghe Penne and garlic butter breadcrumbs cost $9.95 per serving and serves 2; Shrimp de Jonghe and Home Chef share a hometown: the bustling burg of Chicago. This is one of our older dishes (we mean Chicago, not Home Chef), born in the late 19th or early 20th century at DeJonghe's Hotel and Restaurant on Monroe Street. Succulent shrimp are baked with pasta and a rich sauce of garlic, tomatoes, and cheese, crusted with a pinch of heat, and baked to perfection. We hope you'll agree that we're doing our hometown proud here. Japanese BBQ Burger with smoky potato wedges cost $9.95 per serving and serves 2; the idea of cooking meat on fire predates the Land of the Free and the Home of the Brave. (Probably predates civilization!) Now, the red, white, and blue did contribute BBQ sauce to the barbecue tradition, sweet and smoky. Here, we combine BBQ sauce with teriyaki for a tangy twosome and top the that with a Sriracha-mayo slaw that brings a slight note of heat. BBQ is universal, and flavors this good should be, too. 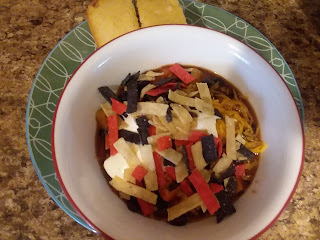 My Opinion: this is a nice delivery service of meals may offer a wide variety of choices for you which is nice and everything that I got to eat I enjoyed very much except for the black bean chili that was missing something and too many onions. I like how you can cancel anytime and then start up again whenever you want.